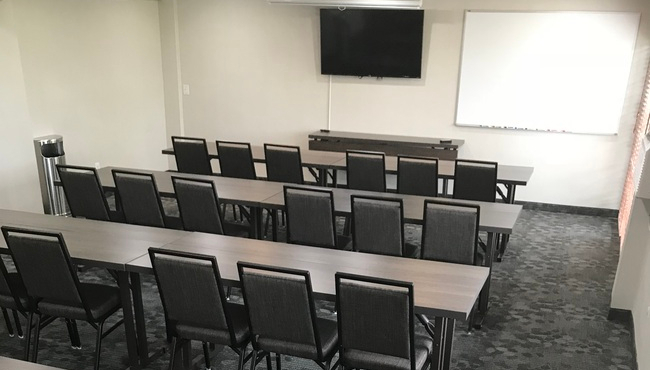 With a convenient I-5 location near the Portland Expo Center, Swan Island and the Port of Portland, the Country Inn & Suites in North Portland provides an ideal venue for corporate meetings and small social gatherings. Our 650-square-foot Columbia Room can accommodate multiple layouts and seating configurations for up to 40 guests. The space also adjoins an outdoor patio, perfect for fresh-air breaks in between sessions. 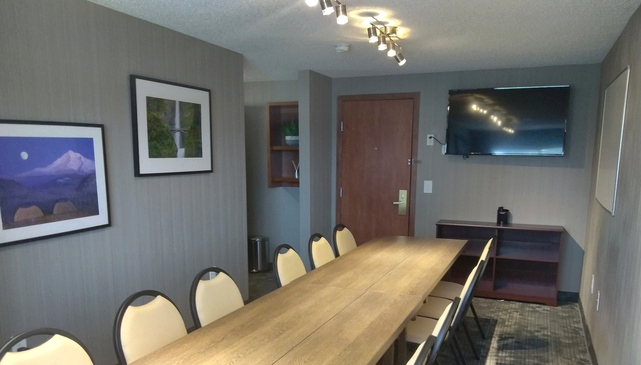 Free high-speed Internet access keeps your guests connected during their visit, and our on-site business center lets you put the finishing touches on your presentation. For smaller meetings, our second-floor Mt. Hood Boardroom is a fantastic option. With park views and lots of natural light, this 279-square-foot space is a great place to get work done.